Apple’s Phil Schiller has just announced the iPhone 4S, which is both GSM and CDMA compatible, sports the new A5 chip, a redesigned 8-megapixel camera system, and dual core graphics up to 7 times faster than the previous iPhone. Full details below. 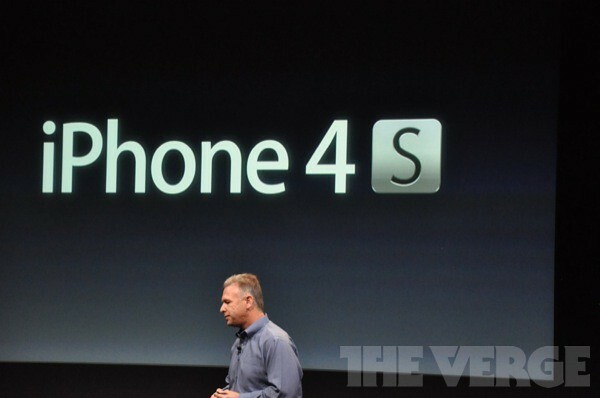 As 9to5Mac predicted, the iPhone 4S will be available in 16GB ($199), 32GB ($299), and 64GB ($399) models. Pre-orders start on October 7th followed by a public release on the 14th of October in US, Canada, Australia, the UK, France, Germany, and Japan. Twenty-two more countries will get the device on the 28th followed by over 70 countries by the end of the year. As part of the new camera system, you can now record 1080p HD video with real-time video image stabilization, and real-time temporal noise reduction. The new iPhone also includes a redesigned camera system that includes a new sensor and 8-megapixels for 60% more pixels than in the iPhone 4 camera. There is also a hybrid IR filter for “better color accuracy” and “more color uniformity”, and a 5 element lens resulting in 30% more sharpness. 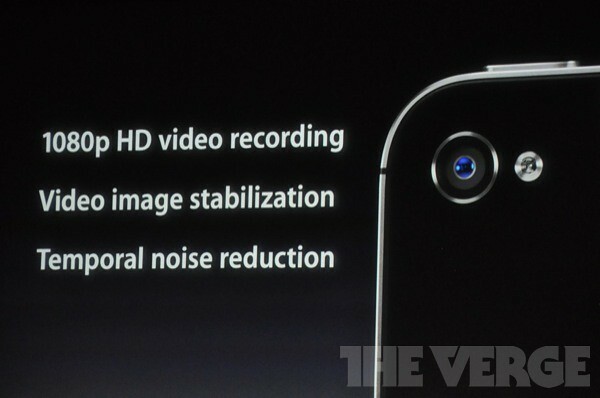 Schiller also notes face detection and improved white balance.